The Army and Defense Logistics Agency will both seek reimbursement on millions of dollars from contractor TransDigm, following an Inspector General report into the company’s contracts with the Pentagon. TransDigm, which produces specialized parts for aircraft such as pumps, valves and batteries,, earned “excess profit” 112 of 113 contracts reviewed by the IG’s office, per a report released last Wednesday. The IG found that the company received $16.1 million in excess profit between January 2015 and January 2017, with a cost that could go up due to spare parts in the future. A former active-duty U.S. Army colonel and his wife were sentenced to federal prison and fined more than $200,000 Feb. 5th for their roles in steering government contracts to co-conspirators in return for cash. Anthony Roper of Augusta, Georgia pled guilty to Procurement Integrity Fraud and was sentenced to 60 months in prison and fined $200,000. He also will be subject to three years of supervised release after his sentence is completed. There is no parole in the federal prison system. Roper’s wife, Audra Roper, pled guilty to Accessory After the Fact and was sentenced to 28 days in prison, fined $10,000, and placed on five years of probation. 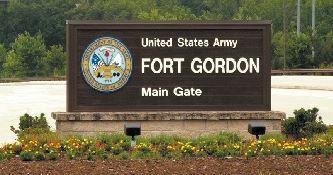 According to evidence presented during guilty pleas and sentencing hearings, Anthony Roper, then in active-duty status at Fort Gordon, accepted bribes from Calvin Devear Lawyer, a retired U.S. Army colonel, to steer Army contracts worth more than $20 million to Lawyer’s company, the CREC group. Based on false representations from Lawyer and Dwayne Oswald Fulton, then an employee of a defense contractor, CREC group had been awarded Small Business Administration (SBA) status as a small, disadvantaged business, and the company used that status to gain competitive advantage in contracting. The conspiracy also included the creation of fraudulent documents in an attempt to cover up bribes to Anthony Roper after law enforcement agencies discovered the scheme. Lawyer previously pled guilty in the case and was sentenced to 60 months in prison. As part of his sentence, Lawyer also paid a $3 million personal money judgment and a $2 million civil penalty. 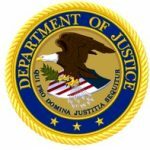 U.S. Attorney Sherri A. Lydon states that Phillip Thompson of Augusta, GA was sentenced for conspiracy involving theft of government funds, a violation of Title 18, United States Code, § 371. U.S. District Judge J. Michelle Childs, of Columbia, SC sentenced Thompson to 23 months in jail after a sentencing hearing. The judge further ordered that Thompson repay $4,580,469.83 in restitution and, after his release from the Bureau of Prisons, that he serve three years on supervised release. Facts presented in court established that Thompson worked at the Savannah River Site for Wise Services, and that, beginning in September of 2009 and continuing for several years, Thompson was involved in a scheme in which he and a co-defendant stole money using false and fraudulent invoices. An investigation by the U. S. Dept. of Energy’s Office of the Inspector General (OIG) and the Federal Bureau of Investigation (FBI) revealed that Thompson and his co-defendant stole more than six million dollars. The Energy Department’s OIG and the FBI investigated the case. Assistant U.S. Attorney John C. Potterfield of the Columbia, SC office prosecuted the case. Federal contracting officers, along with firms representing themselves as woman-owned small businesses (WOSBs) did not comply with federal regulations in 50 instances of sole-source contract awards. As a result, there is no assurance that the contracts were awarded to firms eligible to receive sole-source awards under the WOSB program administered by the Small Business Administration (SBA). That’s the conclusion reached by the SBA’s Office of Inspector General (OIG) in a report issued on June 20, 2018. The OIG undertook its review of SBA’s WOSB program to determine whether the sole-source provisions that Congress included in the 2015 National Defense Authorization Act (NDAA) were being effectively implemented. Congressional intent was to expand the number of federal contracts being awarded to WOSBs and streamline the process by which WOSB status could be validated. Thus, in its review, the OIG wanted to determine whether sole-source contract awards comply with program requirements, and whether firms that receive the set-asides conform to the self-certification requirements. The OIG selected a sample of 56 contracts, worth $55.7 million, to review. The sample represented 81 percent of the sole-source contracts awarded to WOSBs between the period of Jan. 1, 2016 and Apr. 30, 2017. The OIG determined that federal regulations were not followed by federal officials or the WOSB firms themselves in connection with 50 of the 56 contracts. The 50 contracts were valued at $52.2 million. Based on its findings, the OIG determined that there “was no assurance that these contracts were awarded to firms that were eligible to receive sole-source awards” under the WOSB program. The weaknesses noted in the OIG’s report are similar to those noted in a review conducted in 2015. 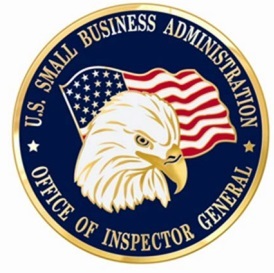 Then, the OIG recommended that SBA should increase its training and outreach to both federal contracting officials and businesses regarding their responsibilities under the WOSB program. The SBA should prevent contracting personnel from awarding contracts to ineligible firms by implementing a certification process that includes “reviewing, analyzing, and making an affirmative decision that applicants are eligible to participate” in the WOSB program. SBA also should strengthen controls in FPDS-NG to preclude agencies from using ineligible NAICS codes for the WOSB program’s contracts. Overall, the OIG is recommending that the WOSB program should be operated more in line with other certification programs operated by the SBA. In response to these recommendations, however, the SBA estimates that it will take at least another year before it implements a WOSB certification process. SBA management also states it does not have the responsibility for improving the integrity of data in FPDS-NG. The OIG concludes that since errors are likely to continue to be made in NAICS code selection and that WOSB firms will be allowed to continue to self-certify, the program is subjected to “unnecessary risks of fraud and abuse.” In light of this condition, the OIG’s recent report offers six specific recommendations the SBA should take now to expand oversight and prevent agencies from awarding contracts to ineligible firms. An audit of two Army Contracting Command centers in Redstone, Alabama and Warren, Michigan, revealed The Department of Defense (DoD) must increase its efforts in order to meet small business subcontracting goals. 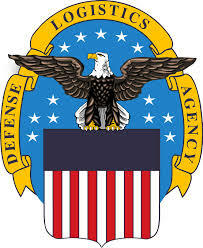 The DoD Inspector General Audit was carried out in three different branches. One audit was performed on the Army, and two each on the Marine Corps and the Air Force. According to the audit, small businesses may have lost opportunities because protocols were not followed which could have encouraged more small businesses to be part of the federal marketplace. Small businesses have been specifically included in the federal contract bidding process to both support and encourage growth in communities across the country. Head of the House Small Business Committee U.S. Rep. Sam Graves (R-Missouri) announced in Nov. 2017 his desire to raise the federal government’s contracting goal for small businesses to 25 percent, a two percent increase from the current 23 percent target for contracts to be awarded to small businesses today. Maryland-based MassTech, Inc., its former Chief Executive Officer, Arnold Lee, and its former Chief Financial Officer, Richard Lee, have agreed to pay the United States $1.9 million to resolve allegations that MassTech falsely certified it was a small business concern in order to obtain Small Business Innovation Research (SBIR) awards. The settlement agreement was announced on May 3, 2018. The SBIR program is a set-aside program for small businesses. The purpose of the SBIR program is to strengthen the role of small business concerns in federally funded research and development and to increase private sector commercialization. To receive SBIR funds, each awardee of an SBIR Phase I or II award must qualify as a small business at the time of the award as well as throughout the duration of the award. To be eligible, the small business and its affiliates collectively must have fewer than 500 employees. According to the settlement agreement, the government alleged that MassTech, Arnold Lee, and Richard Lee falsely represented to the National Science Foundation (NSF), to NASA, and to the Dept. of Health & Human Services (HHS) that MassTech was an eligible small business concern at the time of the SBIR application as well as throughout the lifecycle of the award. As a result, NSF, NASA, and HHS approved and funded SBIR awards to MassTech that MassTech otherwise would not have received. 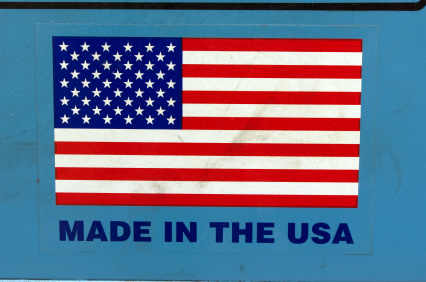 MassTech, Arnold Lee, and Richard Lee denied the United States’ allegations. NSF’s Office of Inspector General, the NASA Office of Inspector General, and the HHS Office of Inspector General worked in the investigation. The settlement agreement was announced by the U.S. Attorney for the District of Maryland. Last week in Wisconsin, three defendants agreed to plead guilty to federal crimes related to a long-term fraud scheme led by Brian L. Ganos involving government-funded contracts intended to benefit small businesses. The three defendants are James E. Hubbell of Sussex, WI, Jorge Lopez of Worthington, Minnesota, and Telemachos Agoudemos of Big Bend, WI. Nuvo Construction Company, Inc. (Nuvo”) was misrepresented to be majority-owned and controlled by Lopez to obtain certifications as a Small Disadvantaged Business from the U.S. Small Business Administration and as a Disadvantaged Business Enterprise from Milwaukee County. In reality, Lopez worked full-time for a different entity in Minnesota and did not actually control Nuvo. 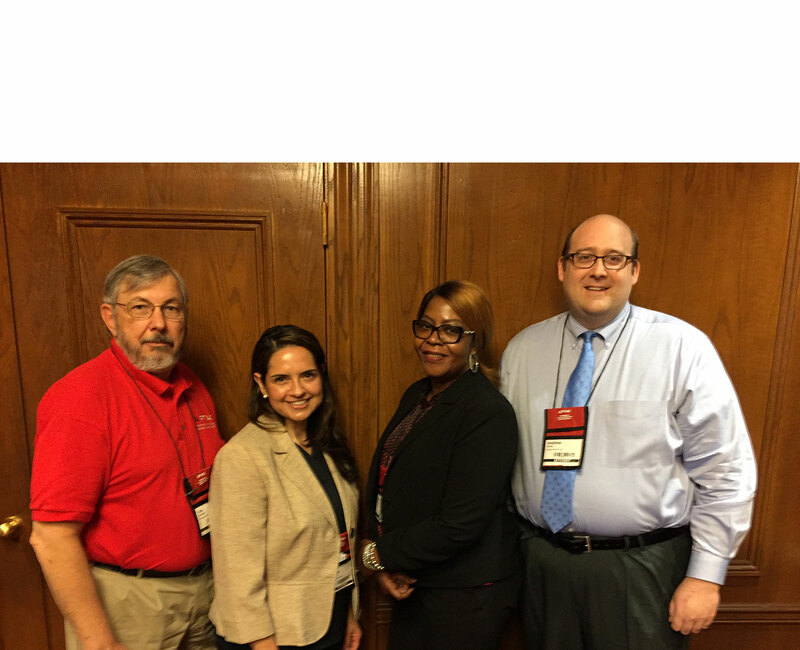 C3T, Inc. was misrepresented to be majority owned and controlled by Agoudemos to obtain verification as a Service-Disabled Veteran-Owned Small Business. In reality, for long stretches, Agoudemos had virtually no involvement in C3T. Hubbell and Lopez agreed to plead guilty to conspiring to defraud the United States by virtue of the scheme in violation of 18 U.S.C. § 371. Agoudemos agreed to plead guilty to making false statements to federal agents in order to conceal that C3T, Inc. did not qualify as a Service-Disabled Veteran-Owned Small Business in violation of 18 U.S.C. § 1001. The maximum penalties for these offenses is five years in prison and a $250,000 fine. First, in Case No. 18-CR-62, an indictment was filed charging Brian L. Ganos of Muskego and Mark F. Spindler of Menomonee Falls, and the business Sonag Company, Inc. with crimes related to the fraud scheme. The indictment also alleged that Ganos engaged in money laundering with proceeds from the scheme. The indictment included a forfeiture notice indicating that the United States seeks to forfeit a condominium located in Winter Park, Colorado; the office building used by the companies at 5500-5510 West Florist Avenue, Milwaukee, Wisconsin; a 2014 Chevrolet Corvette Stingray Convertible; and more than $2.2 million seized from two bank accounts. Each of those assets is subject to civil forfeiture actions filed by the United States. Second, in Case No. 18-CR-64, Nicholas Rivecca agreed to plead guilty to an Information charging him with conspiring with Ganos and others to use Nuvo’s DBE status to win government-funded concrete orders. Rivecca and Ganos were the co-owners of Sonag Ready Mix, LLC, which is alleged to have filled the concrete orders in Nuvo’s name. 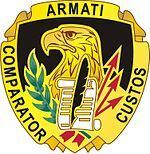 The following agencies are participating in the investigation that led to these charges: the Federal Bureau of Investigation; U.S. General Services Administration, Office of Inspector General; Department of Veterans Affairs, Office of Inspector General; Department of Defense, Office of the Inspector General, Defense Criminal Investigative Service; U.S. Department of Transportation, Office of Inspector General; U.S. Small Business Administration, Office of Inspector General, Investigations Division; Defense Contract Audit Agency; and U.S. Army Criminal Investigations Command Major Procurement Fraud Unit.